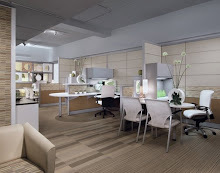 Office Furniture Resource Blog of Tulsa Oklahoma: Ergonomic Accessories-The Add-on’s that really add on! Ergonomic Accessories-The Add-on’s that really add on! 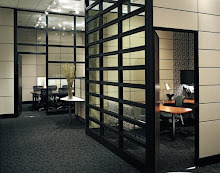 In addition to great office furniture, what else can add to your comfort, & productivity in your workplace? Getting the right accessories! There are many options like keyboard trays, task lighting, center drawers, laptop drawers that lock, desk mounted stands for 1 or multiple monitors, CPU holders, and more. Depending on your job type and how many hours you will spend on a computer, you can determine whether you need a basic pullout tray or one that adjusts. For a home office or job where you are using the computer for only an hour or two at a time, a simple pullout tray with wrist rest should be sufficient. For a job that revolves around the computer, having an ergonomic tray that locks, lifts, and tilts, you will have more flexibility and less arm & back strain. Try several styles when shopping to see what fits you the best. For laptop users, a riser might be your preference. For a more permanent application & added security, locking laptop drawers are also available. For office furniture that does not already have CPU storage, there are mobile options that can roll under a work surface for easy access, and accessibility for minimal cost. Most are adjustable to accommodate different size equipment. Also available are CPU Stands that mount to the side of a work desk. These look more like a part of the furniture for a fixed solution. Some can be ordered in different colors to match the décor of the space. With finishes like silver or Black, generally they will look better with more modern furnishings but if they are mounted under a desk even in a more traditional setting, typically they aren’t seen anyway from the approach side. These options will be similar to the CPU options. Mobile options allow it to be shared. Especially if printer is wireless, this is a handy solution. Task lighting can help reduce eye strain. It illuminates the area evenly to give overall light and ambience. Lamps or LED lights are also a great option and can add some design element to the space. These are just a few of many ergonomic products that are available to keep you and your staff working smarter, not harder. I bet those CPU storage accessories are popular with IT employees. They routinely have to crawl under desks to access people's computers. If the janitorial staff hasn't cleaned under your desk recently that means IT has to battle some monster dust bunnies. When your computer is under your desk it is also likely to get kicked over once in a while. Not a very smart place to keep a piece of equipment that expensive. Good tips about the keyboard trays! 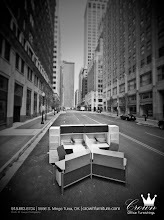 Be it furniture at home or work, the look matters the most in all ways. Doing furniture for different spaces, wood remains the most popular material for about all types of furniture for outdoor and indoor uses. With varied types of wooden material used for furniture making, major influence stays on aesthetics appeal, durability and price of furniture. southerland mattress can give you an exceptional feel of the foam and the cotton, thereby giving you the best formula for relaxation. 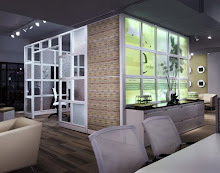 You can view more such quality products at www.bedroompedia.com ..